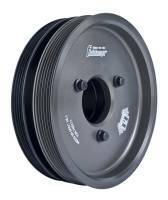 Fluidampr performance dampers have made their way into winners circles since the mid-1980s. Pit Stop USA is The Online High Performance Superstore! 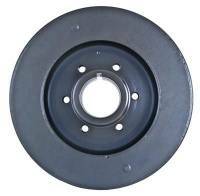 We feature Harmonic Balancers - Dodge Cummins at low everyday prices. Pit Stop USA is The Online High Performance Superstore! 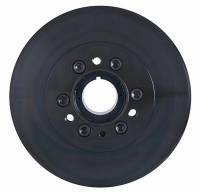 We feature Harmonic Balancers - Ford Powerstroke at low everyday prices. Pit Stop USA is The Online High Performance Superstore! 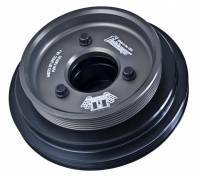 We feature Harmonic Balancers - GM DuraMax at low everyday prices. 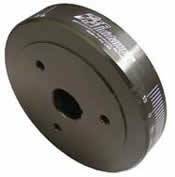 Fluidampr Harmonic Balancer - External Balance - Steel - Black - Chevy 400 - 7-1/4" Diameter - 14.0 lbs. 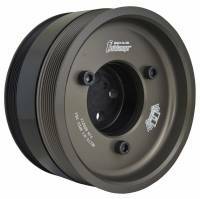 Fluidampr Harmonic Balancer - External Balance - Steel - Black - Ford 289, 302, 351C, 351M, 351W, 400 - 6-5/8" Diameter - 12.9 lbs. 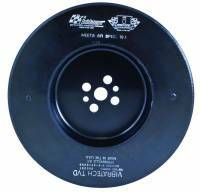 Fluidampr Harmonic Balancer - Internal Balance - Steel - Black - Ford 289, 302, 351C, 351M, 351W, 400 - 6-5/8" Diameter - 10.3 lbs. Pit Stop USA is The Online Motorsports Superstore! We feature The Original Fluidampr performance dampers. Since 1946, Vibratech TVD has been perfecting the science of torsional vibration control in gasoline and diesel engines. 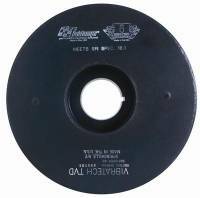 In the mid 1980's Vibratech developed the first Fluidampr and began testing it on high profile race engines. As expected, the results showed improved engine performance and reduced wear on internal components. Fluidampr performance dampers made their way into winners circles at many motorsports events. From NASCAR champions to Drag Racing legends, Fluidampr is the #1 choice of top engine builders and drivers. Fluidampr continues on the road to excellence by developing and manufacturing the best performance dampers available. 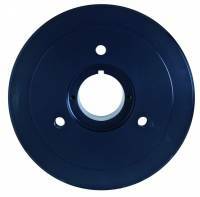 Every damper is machined and assembled in the U.S.A. and has been since the beginning. 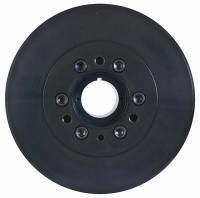 Whether you need to beat the tree or lap the leader, cruise the show and shine or drift past the competition, Fluidampr can offer you more horsepower, torque and engine protection than any other damper. It has been rumored that the fluid in a Fluidampr turns to gel over time. Hereas a news flash, its gel when Fluidampr pumps it into the damper. That is how the technology works. 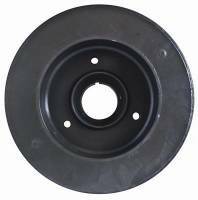 The silicone gel inside the damper keeps the flywheel in place and functioning. So to put all of the competitions claims to rest, it is a gel, always and forever. Maybe they should have named them Geldamprs. Other dampers on the market use rubber or aelastomera as the insulator for the internal flywheel. 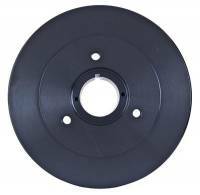 Rubber deteriorates and wears down from repeated movements. 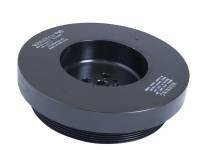 The inertia ring that balances an elastomeric damper becomes unstable when the o-rings start to wear. 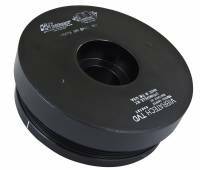 The reason car manufactures install elastomer dampers at the factory is not for performance but for cost. We feature Fluidampr Streetdampr Harmonic Balancers, Fluidampr Harmonic Dampers and Fluidampr Signature Series Harmonic Balancers at low everyday prices!